Want to be notified of new releases in plotly/dash? Build on top of Plotly.js, React, and Flask, Dash ties modern UI elements like dropdowns, sliders, and graphs directly to your analytical python code. Here’s a 43-line example of a Dash App that ties a Dropdown to a D3.js Plotly Graph. As the user selects a value in the Dropdown, the application code dynamically exports data from Google Finance into a Pandas DataFrame. This app was written in just 43 lines of code (view the source). Dash uses Plotly.js for charting. Over 35 chart types are supported, including maps. Dash isn't just for dashboards. You have full control over the look and feel of your applications. Here's a Dash app that's styled to look like a PDF report. To learn more about Dash, read the extensive announcement letter or jump in with the user guide. View the Dash User Guide. It's chock-full of examples, pro tips, and guiding principles. Dash is licensed under MIT. 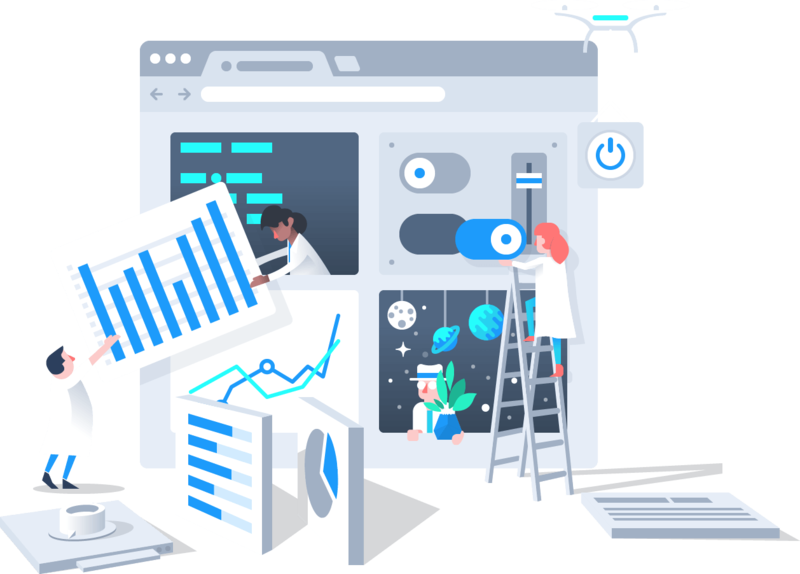 For companies with software budgets, Plotly offers Dash Deployment Server, an enterprise-ready platform for hosting Dash apps in a private cloud or on your own servers. Learn more about Dash Deployment Server. See https://plot.ly/dash/support for ways to get in touch.